For the second year in a row, the Canucks have clinched the top spot in the NHL along with the President’s Trophy after defeating the Edmonton Oilers 3-0 in the final matchup of the regular season. Roberto Luongo was in the net that night for this fifth and final shutout of the regular season, which was also his 60th career shutout. And a baby MayRay just arrived! To most hockey fans, having their team doing as well as the Canucks are doing right now would bring rapturous joy to their sad lives as fans of, well, other not-so-fortunate teams. Okay, the Leafs. That is a sad and desolate landscape. Hug a Leafs fan if you see one. But for Canucks fans, it’s time to PANIC!! As the Playoffs rapidly approach, all rational thought flies out the window and we start worrying about every tiny little problem the Canucks have. Why isn’t Henrik scoring more? Why can’t Luongo stop every puck in every game? Why aren’t they scoring more goals during power plays? How much longer until we get to see Chris Higgins’ abs again? The most intense battle amongst panicked Canucks fans is over our two stellar goalies: Roberto Luongo and Cory Schneider. Both have had incredible games with a few embarrassing losses this past season. But when Luongo lets a few pucks in, he usually takes it in the five-hole for his entire team. And the pitched battle between Lu-Lovers and Lu-Haters as April 11th approaches starts to resemble the scene from Mommy Dearest where Christine screams at Joan “I am not one of your fans! !” prior to being nearly choked to death. In other words, Canucks fans, CLOSE YOUR BAZOO and stop booing Lu. 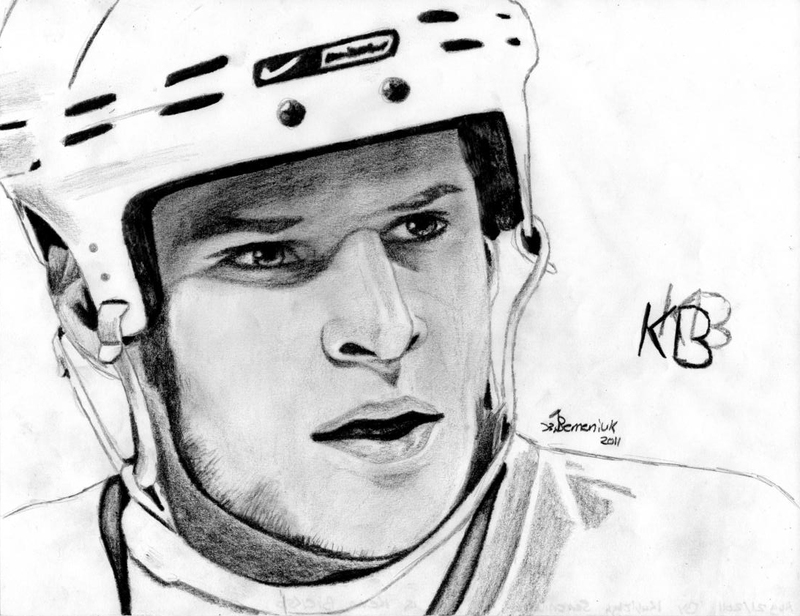 A month ago Kevin Bieksa publicly commented to the press about how quiet and complacent Canucks fans are at home games, while praising the Winnipeg Jets fan-base for their boisterous enthusiasm at home and away games. And many in the Vancouver sports media agreed with him and then heaped more scorn on Canucks fans. After so much criticism from our own team, from the media and fans of other teams, and after the horrible way our season ended last year, it’s not surprising that Canucks fans are feeling just a teensy bit anxious and on edge as we enter the Playoffs despite our team’s standing. It’s déjà vu which is both exhilarating and terrifying. So, yes, sometimes the criticism is valid and warranted. But this goes on in every fan-base to varying degrees. When your team is currently sitting on top, there are going to be a lot of people taking shots and trying to knock us off that pedestal. This will include endless riot jokes and being called “classless” and “cup-less” countless times during the Playoffs. Because in a game where on-ice brawls get the loudest cheers, it’s all about class, right? No, but it is all about the Cup. And the journey to win one begins again soon. No one knows how far down the road we’ll get this time. We might get knocked out in the first round, we might make it to the very end, we might even win the Stanley Cup for the first time. So, Canucks fans, try not to panic. Ignore the instigators trolling for a reaction, support the whole team, and stay calm knowing that all of this madness just goes with the territory of being a fan of the most awesome team in the NHL. Enjoy the ride! 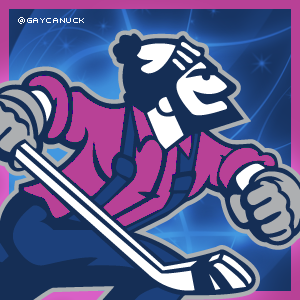 GO CANUCKS GO!! This entry was posted in Vancouver Canucks and tagged Alain Vigneault, CBC After Hours, Cory Schneider, Kevin Bieksa, Roberto Luongo, Stanley Cup Playoffs, Vancouver Canucks. Bookmark the permalink.